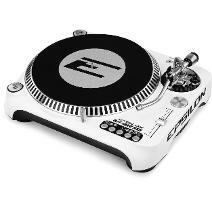 The DJT-1300 USB is a professional multi-speed digital quartz turntable with direct drive at the top. 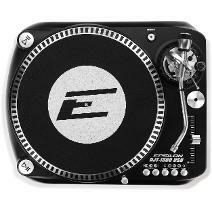 It has 3 different playback speeds of 33,45 and 78 rpm, which can be easily switched at the push of a button. 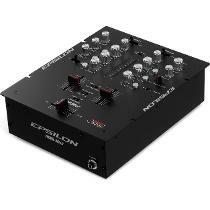 The pitch is also adjustable over 3 levels (+/- 8%, +/- 16% and +/- 50%) for precise beat mixing, the large, high-quality Dual Play / Stop button ensures precise operation, even in difficult situations. 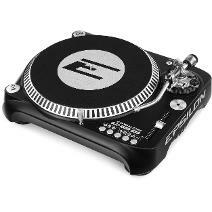 The Epsilon turntable also has a Plug & Play USB connection, which communicates with any DJ software for PC or MAC. 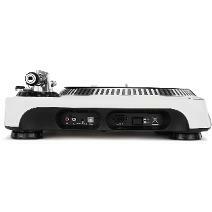 The DJT-1300 USB features an electronic brake and a 330mm die-cast aluminium turntable with a static balance S-shaped tonearm with removable headboard and phono/line output. Super professional quality at a sensational price! Time for Speed Change Less than 0.3 sec. from 33 1/3 to 45 rpm. Less than 0.3 sec. from 45 to 33 1/3 rpm. 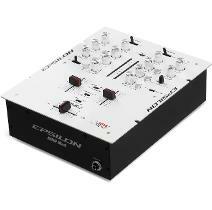 EPSILON INNO-MIX 2 is an ultra compact Pro DJ Battle Mixer with a built-in mini iNNO – Fader Cross-Fader. This professional 2-channel SCRATCH mixer is built to work for over 4 million cycles with contactless design delivering butter smooth, precise and fast transitioning between channels. INNO-MIX 2 is a professional Battle Mixer with an integrated iNNO-FADER cross fader that delivers a buttery smooth feel every professional DJ is looking for. The isolated 3-band equalizer with 100% kill features for High, Mid, and Low frequencies using rotary knobs or by using the instant dedicated kill buttons delivers that one of a kind mix. 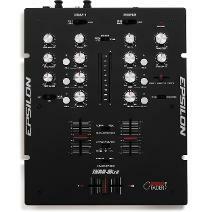 This Pro DJ mixer also includes features like cross-fader start, cross-fader curve and reverse channel fader mode. 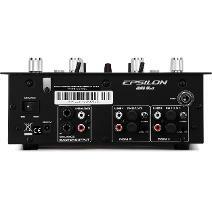 The balance TRS ¼" jacks for master output allows for easy mobile or club install. Super ingenious quality at an absolute competitive price!